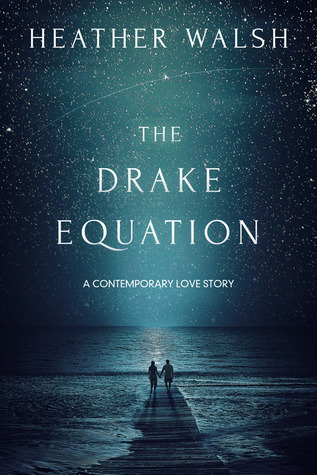 The Drake Equation by Heather Walsh is an entertaining romance between an environmental activist and a PR professional at an SUV manufacturer. The best part of the story is the dialogue — the characters were clearly attracted to each other from the beginning, and the supposed tension between their opposing views only seemed to provide basis for flirtation rather than cause any actual conflict. Much of the romance focused on lively debates between the characters, though often the “winning” argument was obvious from the beginning. Emily’s arguments against SUVs found little resistance from Robert, who mostly seemed confused at the vehemence of her position than passionately opposed to it himself. Robert’s work at the SUV manufacturer seemed clearly more a job than a cause, and ultimately, his main argument boiled down to SUV owners being insecure and therefore worthy of sympathy. Another argument on affirmative action offered a bit more meat for debate, and one side eventually backed down at an unexpected point from the other. Still, these discussions were interesting food for thought, and the characters had the chemistry to keep the sizzle going. The big conflict in their romance ended up being Robert’s workaholic tendencies, which unfortunately wasn’t developed as much as their talking points on SUVs were. As such, when it was his work habits that ended up creating the big crisis in their relationship, it seemed to come from nowhere, and there never felt any real danger that this issue would cause lasting damage. A couple other things that bothered me. In the beginning of their flirtation, Robert called Emily “girl” and “honey”, which Emily protested at as being offensive, and Robert said it wasn’t, because there was no malicious intent behind these terms. It wasn’t a problem for these characters, because Emily was only pretending to be offended, but I definitely object to the idea of offensiveness being measured by intent rather than by response. It didn’t help that, at least in the beginning, Robert struck me as being condescending and Emily as being a walking stereotype. The characters do develop and become more complex as the story progresses, but I was annoyed with both of them at first. Also, I was taken aback when Emily’s friend Carson referred to himself as a “fag.” It wasn’t in the context of a homophobic attack; in fact, it was a complete throwaway line, and that was what bothered me most about it. (Referring to the success of his stint in a dunking tank at a fundraiser, he says, “I know all those meatheads just wanted to dunk the fag.”) Given the often pejorative use of the term in the real world, I found it offensive and was surprised that Carson would use it on himself so casually. It seemed more thoughtlessness than a deliberate gesture on the part of the author, who likely just wanted a casual way to let us know that Carson is gay, but it’s this very thoughtlessness about it that bothered me. Overall though it’s a fun read, with great chemistry and entertaining banter between the leads.